Canada exports 90% of the canola we produce, and shipments containing even the smallest amount of unacceptable residues or de-registered varieties can be rejected, causing millions of dollars in losses and placing future business at risk. Don’t spoil the bunch. 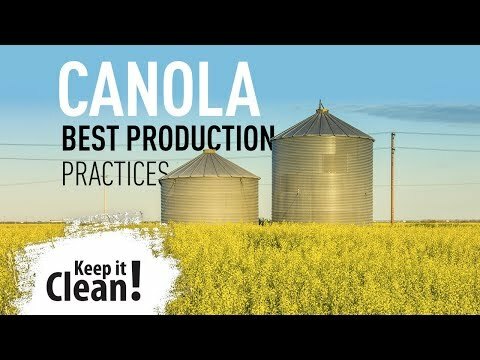 Produce export-quality canola and protect Canada’s reputation as a quality supplier by following these guidelines closely. Only apply pesticides that are both registered for use on canola in Canada and won’t create trade concerns. Talk to your grain buyer to ensure the products you are using are acceptable to both domestic and export customers. Growers will have limited options to sell canola treated with metconazole (the active ingredient in Quash) as several grain buyers have individually advised they will not accept canola treated with metconazole in 2018. Residues can occur in canola seed and there is no MRL established to facilitate trade with China. Metconazole residues do not occur in oil or meal. The Grower Declaration required by individual grain handlers and exporters details the active ingredients that are not acceptable for delivery for specific grain types in any given crop year. Consult your grain buyer for more information. Always follow the label for rate, timing and pre-harvest interval (PHI). The PHI is the number of days that must pass between the last application of a pesticide and swathing or straight combining. Applying pesticides or desiccants without following label directions may result in unacceptable residues. See the provincial Guides to Crop Protection for more information and visit spraytoswath.ca for more info. Maintain a break between canola crops to allow time for crop residue to decompose. If blackleg becomes established, a minimum break of two to three years is recommended. Scout canola fields regularly for blackleg symptoms and prevalence to help determine the effectiveness of your blackleg management plan. Plant only canola varieties rated R (resistant) or MR (moderately resistant) to blackleg. Rotate varieties to bring a mix of blackleg resistance genes and sources to the field over time. Consider applying a fungicide from the cotyledon to 4-leaf stage if in a higher risk situation for the disease. Control volunteer canola and other Brassica weeds (stinkweed, shepherd’s purse, wild mustard, flixweed) to prevent blackleg build up during non-canola years. Visit blackleg.ca to learn more and watch the Blackleg Disease & Resistance Management video. Proper storage helps to maintain crop quality and keeps the bulk free of harmful cross contaminants. Make sure your storage bins are free of treated seed and animal protein like blood meal and bone meal. Clean bins thoroughly prior to storing your crop. Only use approved bin treatments (e.g. diatomaceous earth on cereals). Never use malathion to prepare canola for storage or to treat bins used to store canola. Its residue can linger for up to six months, so choose your canola storage bin carefully. Condition crops to moisture and temperature levels safe for long-term storage. Keep bins cool, dry, well-ventilated and check their condition regularly. When you sign the mandatory Declaration of Eligibility affidavit at the elevator, you are making a legal assertion that your crop is the variety and/or class you have designated. It also states whether your grain may contain residues of any crop input product specified in the declaration. This declaration is a legally binding document and incorrect information, intentional or unintentional, can be traced back to the farm and individuals can be held liable for the costs associated with contamination of a bin or shipment. For more information, visit CFIA’s database of registered varieties and list of variety registration cancellations. 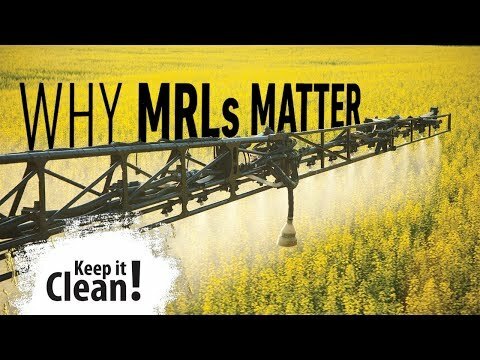 Let’s All Do Our Part To Maintain Canada’s Reputation As A High Quality Canola Supplier. Growers play an important role in keeping canola markets open. Read more about canola market access here.